This is the youtube version of the game Heavy Rain. Use the annotation buttons at the end of every clip to play. The third film of The Theory of Fun campaign. For more info visit official website. 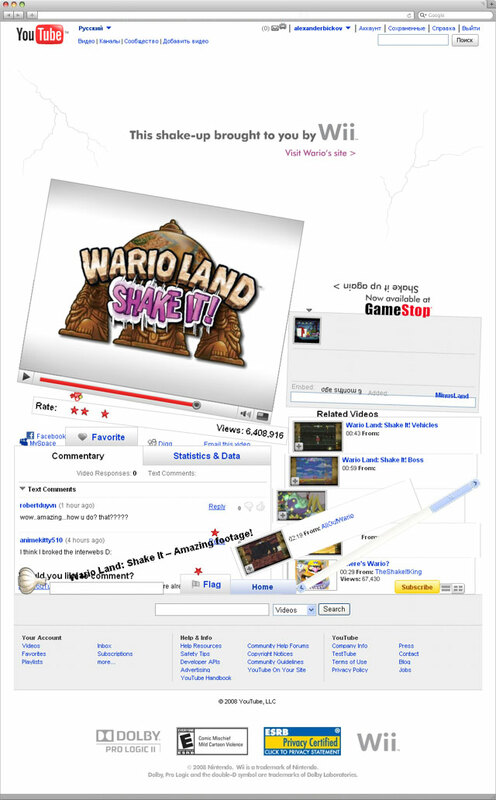 The Shake It site was maded by Goodby, Silverstein & Partners, San Francisco for for Nintendo. Continue reading … Wario Land: Shake It! What would happen if you could write a love song for a whale? And orchestra went out into the ocean to play it? 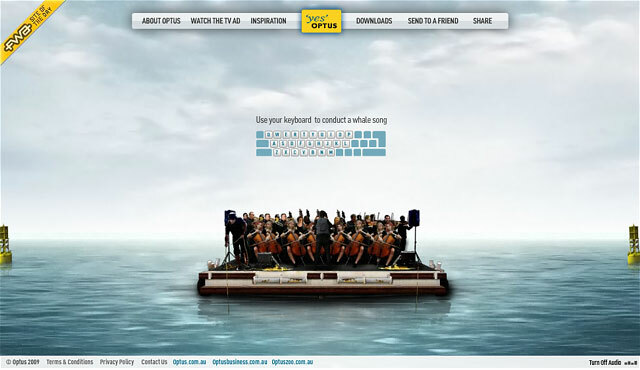 The campaign is online, providing an opportunity to interact with a virtual humpback whale, information on the science and music behind the commercial, interviews with key staff from the project, a screen saver and ringtones (piano soundtrack and whale sounds). Saab Automobile AB and Lowe Brindfors has just launched their latest tv commercial featuring the Saab 9-3x. This new TV ad is called “changing perspective”, complete with a soundtrack from Swedish Singer Asha Ali called “Time Is Now”. Continue your experience on interactive website. Online campaign The Profiler for Belgacom by Famous Brussels. Combine Facebook with Youtube and Flickr, and you have a website that lets you discover more of the things you find interesting, and the things your friends find interesting. So next time you see your best friend, you’ll finally have a topic to talk about.